LED flame effect fire light is made of high quality ABS + PC material, it has 99 sheet 3528SMD, bring you high brightness light. 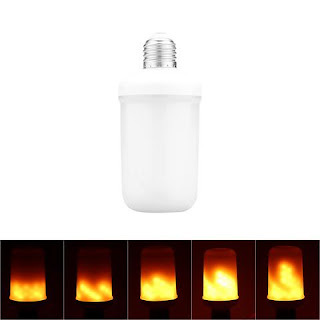 The light has two mode: Warm white and dynamic moving flame. 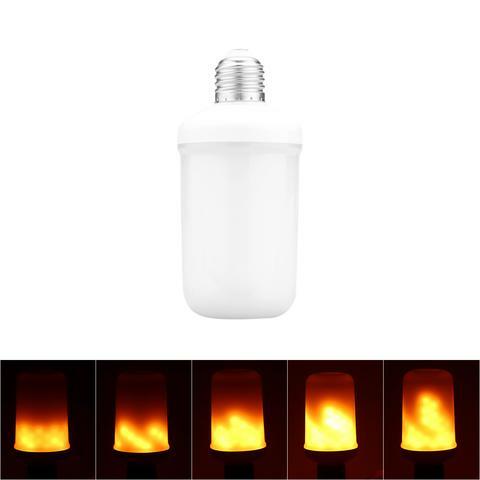 Artificial vivid and dynamic moving flame, simulate nature flicker flame, but flameless, safe & energy saving of LED light source, replacement of traditional gas lantern. (Turn it off and then turn on to change the mode).